AMA Adds Connected Health CPT Codes; Will It Yield More Revenues? The American Medical Association (AMA) updated the Current Procedural Terminology code set (CPT codes) in 2019 to include new codes for connected health services in an effort to encourage the Centers for Medicare and Medicaid Services (CMS) to pay for the services. The 2019 CPT code set contains 335 changes that will go into effect for medical billing and coding on Jan. 1, 2019. A number of those code changes are new codes that can be used to capture the use of connected health tools that support clinicians as they engage in population health and care coordination services, as well as other innovative care delivery services, the AMA explained. Among those new CPT codes are three remote patient monitoring codes that represent how providers use health IT system to connect with their patients in their homes and collect data for care management and care coordination. The 2019 CPT code set also includes two new interprofessional internet consultation codes. The new codes aim to show the increasing importance and prevalence of using non-verbal communication technology to coordinate care between a consulting and treating physician, the AMA stated. The advantages that come with this update? The 2019 CPT code set includes new remote patient monitoring and internet consulting codes to encourage innovative care delivery and Medicare payment for connected health. Some of those code changes, the AMA explained, are new codes that can be used to capture the use of connected health tools that support clinicians as they engage in population health and care coordination services, as well as other innovative care delivery services. “Medicare’s acceptance of the new codes would signal a landmark shift to better support physicians participating in patient population health and care coordination services that can be a significant part of a digital solution for improving the overall quality of medical care,” explained AMA President Barbara L. McAneny, MD. 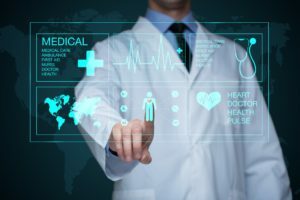 “CMS’ proposed rule is a landmark change allowing providers to much more meaningfully use new technologies when delivering medical care,” Nathaniel Lacktman, a partner and healthcare lawyer with Foley & Lardner LLP, recently told mHealthIntelligence.com. New payments will need improved payment reconciliation capabilities. Let’s see how the adoption process works!